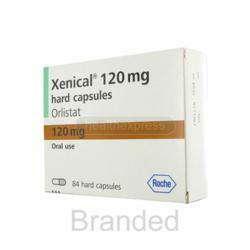 HealthExpress are happy to announce that they now have genuine Xenical in stock. Prescription-only Xenical is back in stock from HealthExpress for a limited time only! HealthExpress are happy to announce that they now have Xenical in stock and their patients will once again be able to order Xenical online through a safe and secure ordering process. Xenical customers may have been aware of the stock issues that pharmacies and online clinics have been experiencing recently. This was due to manufacturing issues by the pharmaceutical company Roche, which makes the medication. HealthExpress would like to apologise to any patients who may have been inconvenienced by these stock issues during this time. The manufacturing problems that have caused the supply to become limited are unfortunately ongoing, and as such the wholesale price of the capsules has increased. For this reason, the price of Xenical capsules at HealthExpress has also increased. This increase will not affect patients who ordered their medication prior to today’s date, March 20th 2012. Click here to visit the Xenical page.